If you visit Google's home page, you will see the ordinary Google logo - not a Doodle for the President's Day holiday in the United States. 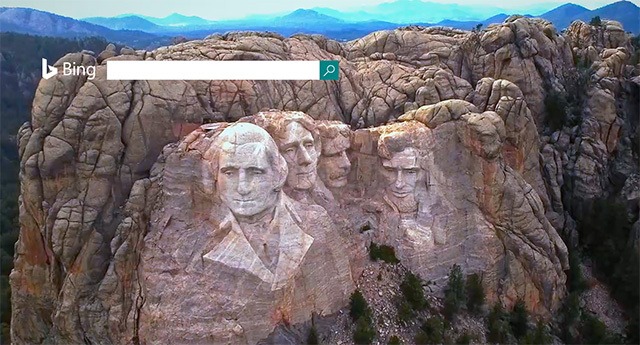 If you visit Bing, on the other hand, you will see this HD video background of Mount Rushmore. It is actually very breath taking. Check it out at Bing.com. I posted a still screen shot above but again, the home page video is pretty awesome. But Google has typically not shown a President's Day logo for years and years - 2012, 2011, 2010, 2009 and 2008. Previous story: How Long Does It Take To Clean Up A Hacked Site Mess In Google Search Console?